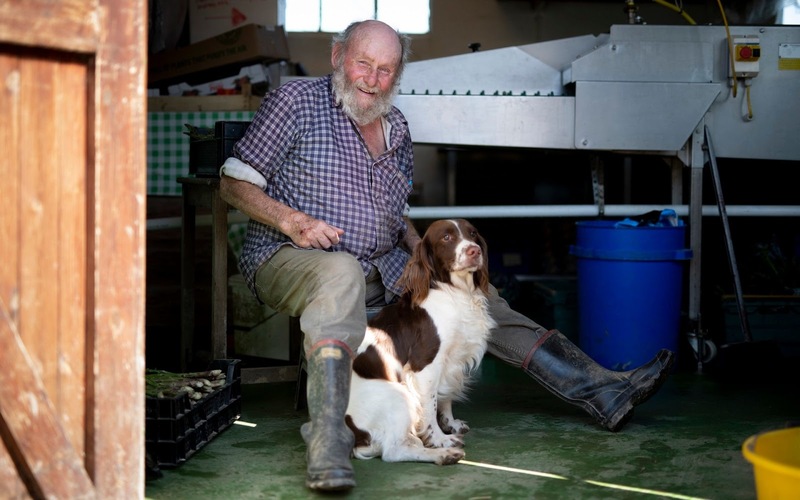 The Douglas family began growing asparagus at South Brockwells Farm, East Sussex in 1998. 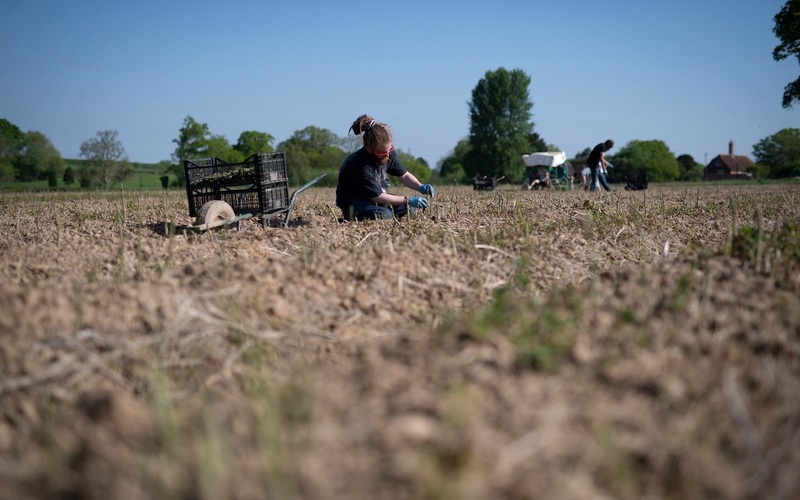 They farm around six acres of the vegetable that produces several tons of asparagus each year. 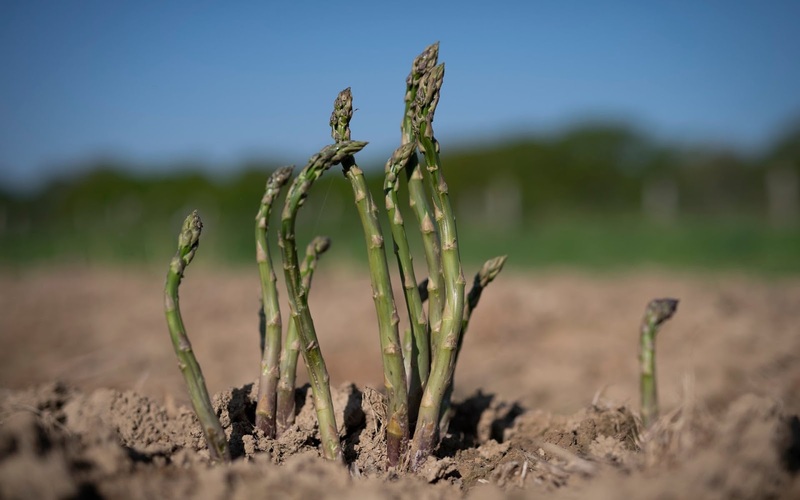 The asparagus is cut daily starting at dawn. It is then washed and graded into four categories – select, choice, tips and kitchen. 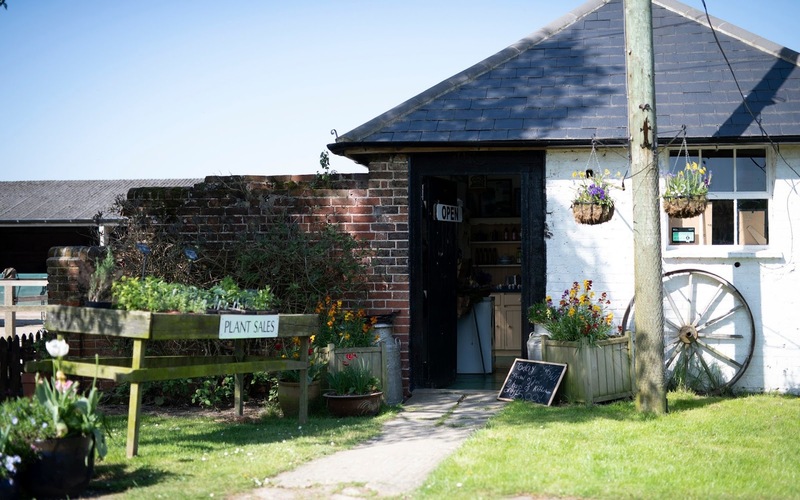 It is then sold through the farm shop or to restaurants, pubs and hotels. Eight pickers work in the fields and six packers in the washroom. The picking season runs from mid April to mid June. 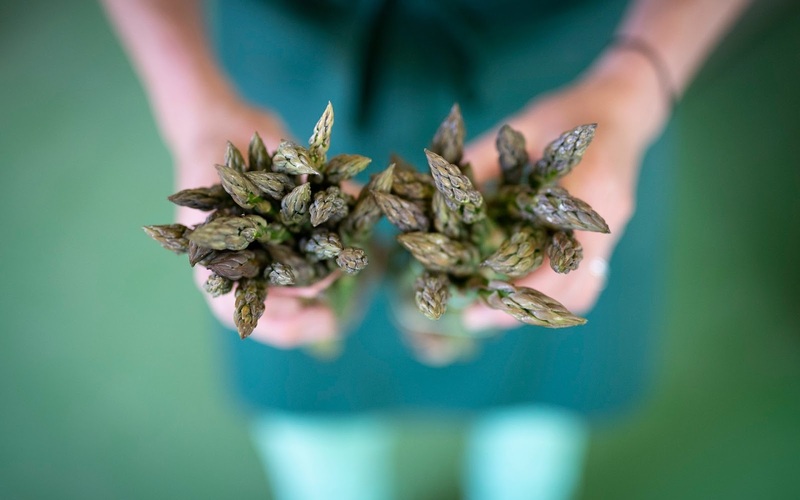 The asparagus at the farm is not forced artificially so the season is dependent on the winter and spring weather. The spears can grow up to one inch an hour. 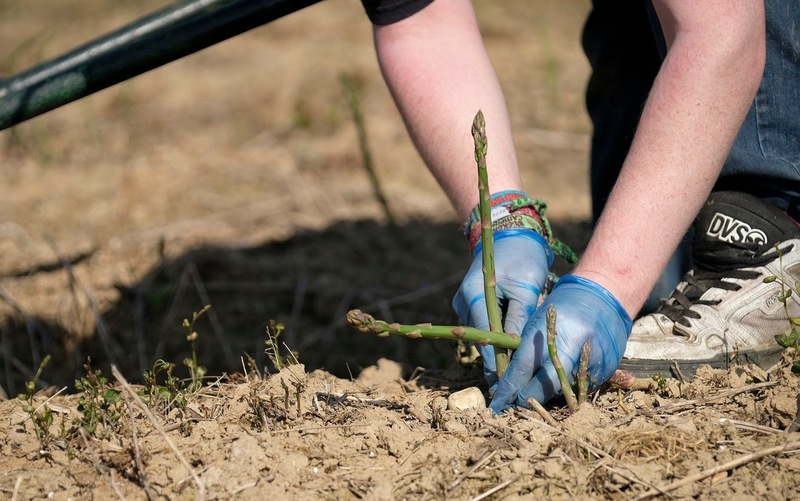 Once planted the asparagus cannot be harvested for the first two years and then only lightly in the third. The spears are cut with a sharp knife an inch below the soil when they are around seven inches tall. The plants are rested every couple of days to ensure the best quality. As well as being dependent on warm weather the plants are at risk from the asparagus beetle, slugs, snails and bindweed. During the summer and autumn the plants grow large ferns which are cut back in the winter. 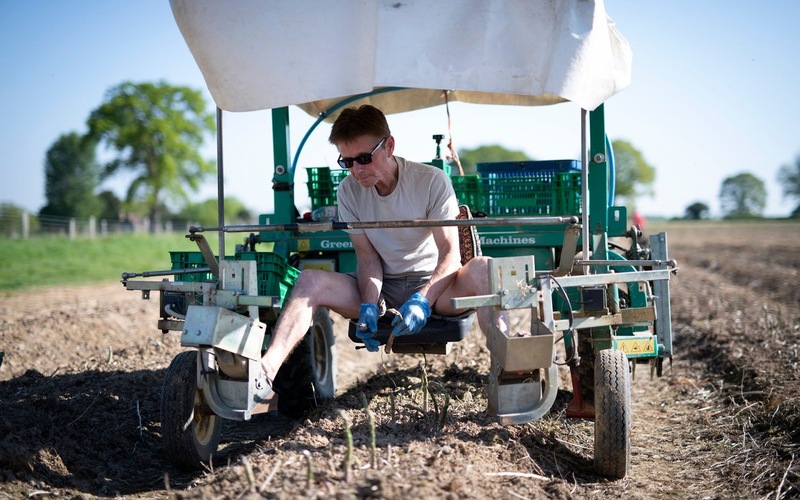 Farmer David Douglas as the asparagus harvesting season begins at South Brockwells Farm in East Sussex. Asparagus being cut, this is done daily starting at dawn. The spears are cut with a sharp knife an inch below the soil when they are around seven inches tall. 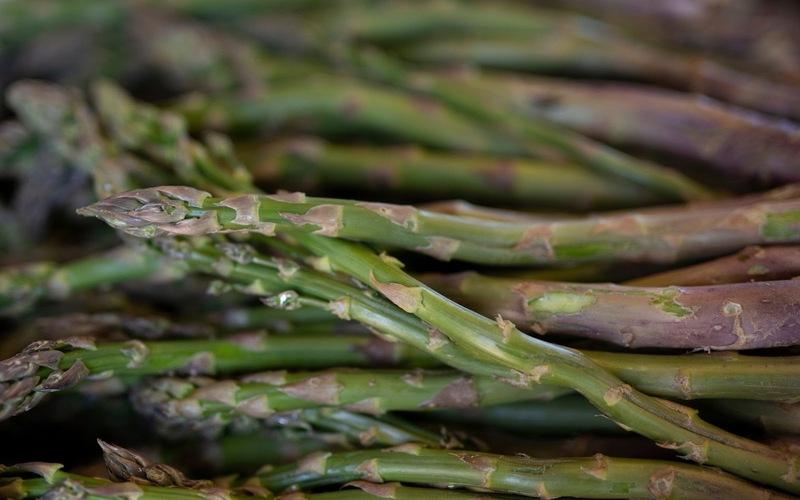 The asparagus is washed and graded into four categories – select, choice, tips and kitchen. 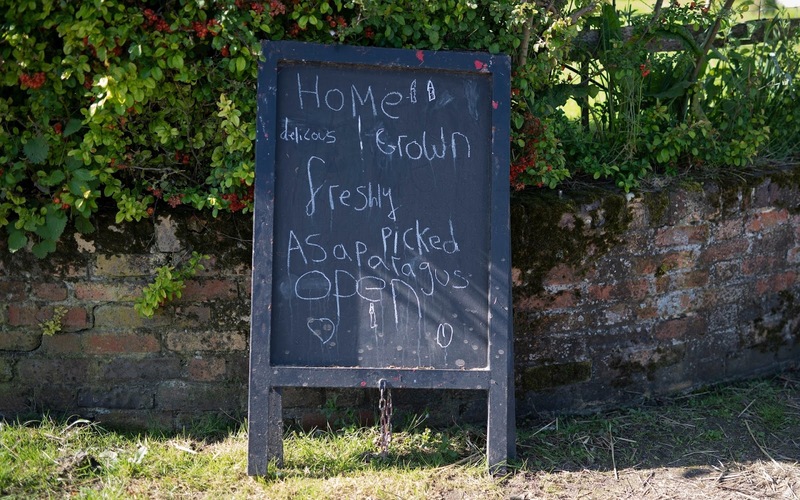 It is then sold through the farm shop or to restaurants, pubs and hotels. 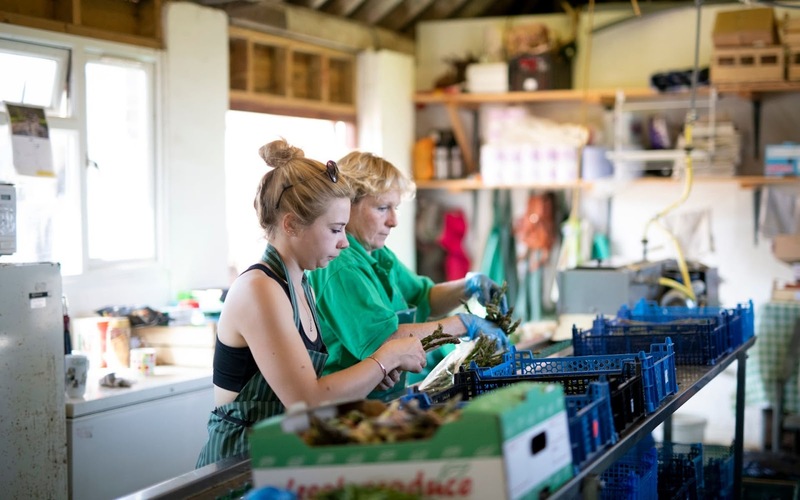 View of the farm shop selling freshly cut asparagus at South Brockwells. 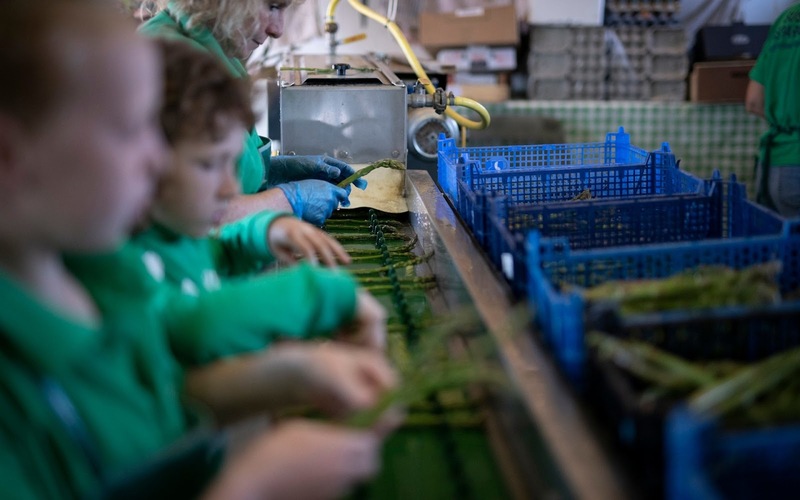 The Asparagus is washed and packed. 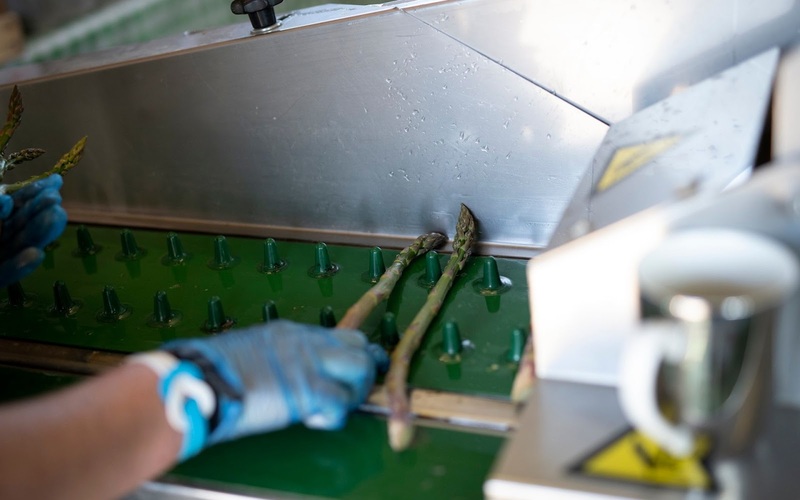 Asparagus being cut. The spears are cut with a sharp knife an inch below the soil when they are around seven inches tall. 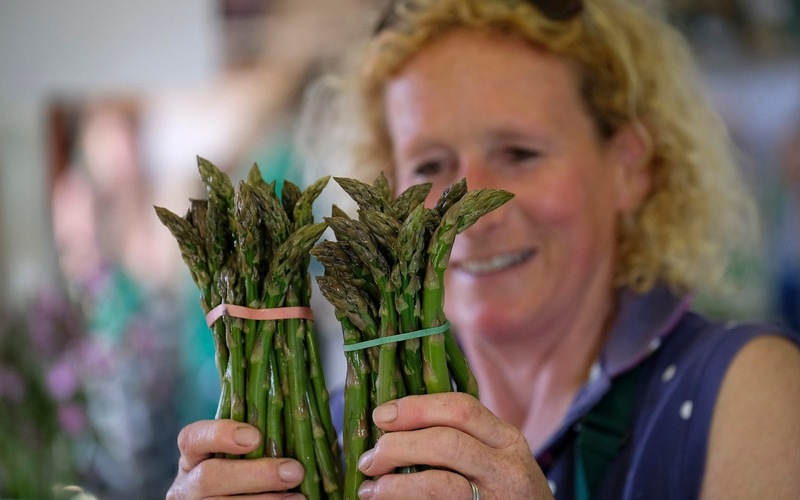 The farm shop selling freshly cut asparagus at South Brockwells. 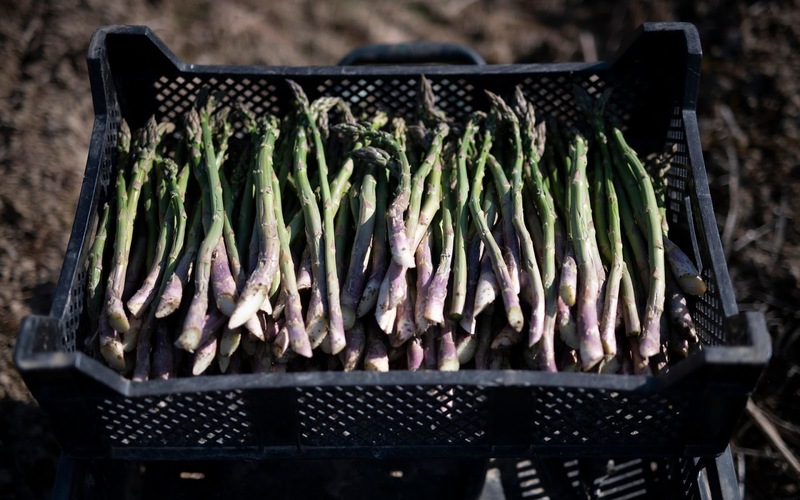 Asparagus is stored in crates after being cut. 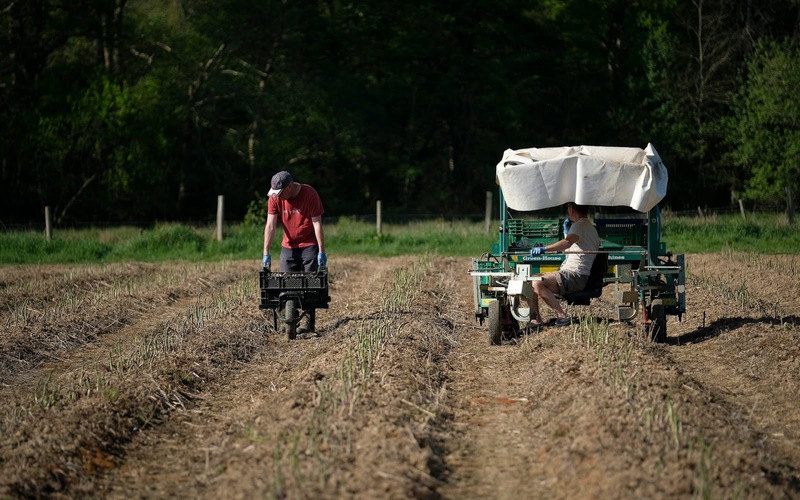 An asparagus harvesting buggy crosses a field as asparagus is cut at the start of the harvesting season. One of the eight pickers hard at work in the fields. 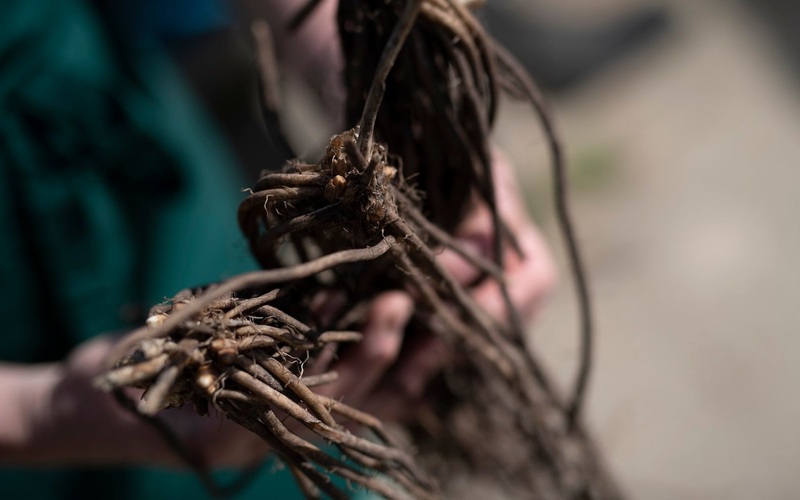 A dormant asparagus plant known as a crown ready to be planted as the current asparagus crop is cut.